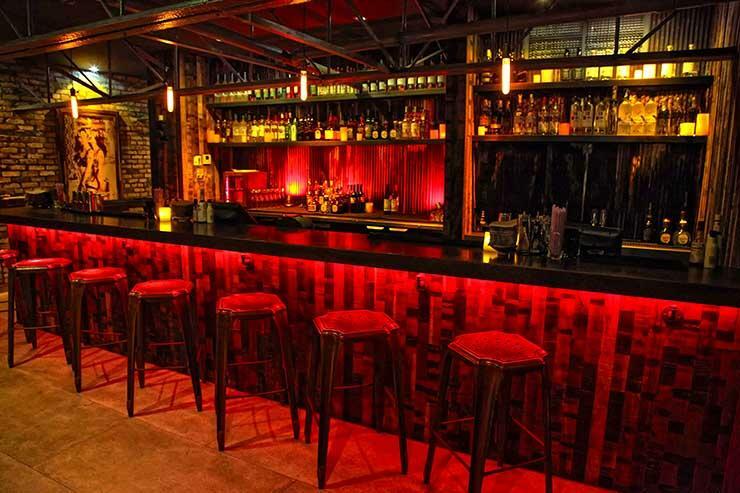 The masterminds behind some of America’s best bars have been busy. Outstanding new places to party have popped up all across the country, including a fun and friendly Tiki spot in Louisville, and a coastal Spanish tapas bar in the East Village of New York City. We can’t get enough of Portland’s new whiskey library, and you can now get premium bottle service in Miami for only $130! Cheers to 2013 and our favorite, must-visit spots for the start of 2014. Tucked away above the mammoth Khong River House restaurant is itty-bitty, super-awesome Patpong Road. The teak-and-graffiti design is an American version of some place you might stumble across down an alley in Bangkok. The bar menu is premium, and the staff knows their way around a shaker tin. You can flop down on cushioned benches with your buddies and order from a menu of authentic Thai small plates. Drink: Their Laid-ee cocktail. It’s a combo of fresh fruit juice, rum and lime, served in a plastic baggie with a straw rather than a real glass … just as it would be in Thailand. Bonus: They offer bottle service for $130 here, with a range of great spirits and a price much lower than you will find anywhere else in Miami. 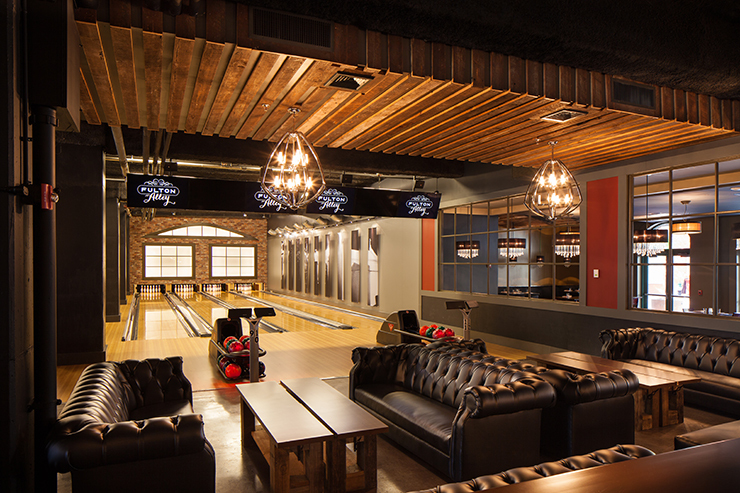 A brand-new boutique bowling alley bar now exists in the garage of the Harrah’s Casino in New Orleans. The best part is, it’s absolutely worth going whether you plan on knocking pins or not. The food menu is based around elevating comforting staples. For example, your fried fish tots come with smoked aioli. There are deviled eggs with cracklin’ and a pork confit salad. The drink list was designed by the same guys who brought the city Cure – a cocktail bar that’s earned numerous awards thanks to killer craft libations. Drink: The Bowler’s Shandy. It’s a delicious bit of tongue-in-cheek with Miller High Life, a citrus Olio Saccrum and lemon juice – available by the glass or the pitcher. Butcher & the Rye – Pittsburgh, Pa.
From the same guys that brought Pittsburgh Meat & Potatoes, Butcher & the Rye is a great addition to the cocktail/food scene in the Northeast. You enter the main floor to a tavern-styled outfit. 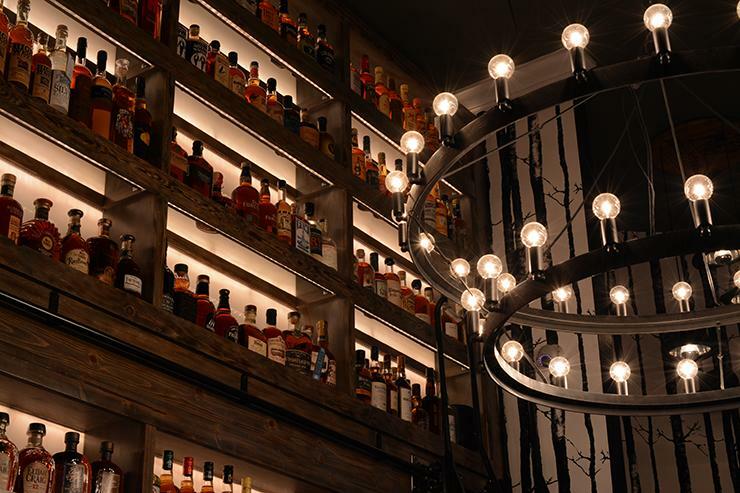 It’s convivial, and the whiskey list is more than 350 bottles long. Upstairs, there’s a supper club space, with a more refined feel about it. This is where you sit down and properly dig into an exceptional Wagyu flank steak, while sipping a perfect Manhattan. Drink: A whiskey flight. They range in price from $16 to $75 and you get three ¾-ounce pours. For example, if you’ve ever wanted to explore Pappy van Winkle’s lineup but can’t afford to shell out hundreds on the bottles, for $75 you can try the Old Rip Van Winkle 10-year, the 12-year and the 20-year. Opened in mid-October, Honeycut serves your need to drink a craft cocktail while dancing your face off underneath a ceiling made up of 1,500 reflective, slowly swaying balls. It’s almost worth moving to Los Angeles just to be closer to this awesome, somewhat bipolar bar. The service is: Fast, with five cocktails on draft, comprised of four refreshing and one old fashioned variation. Or you can slam one of the two “disco” shot options that come on draft too. 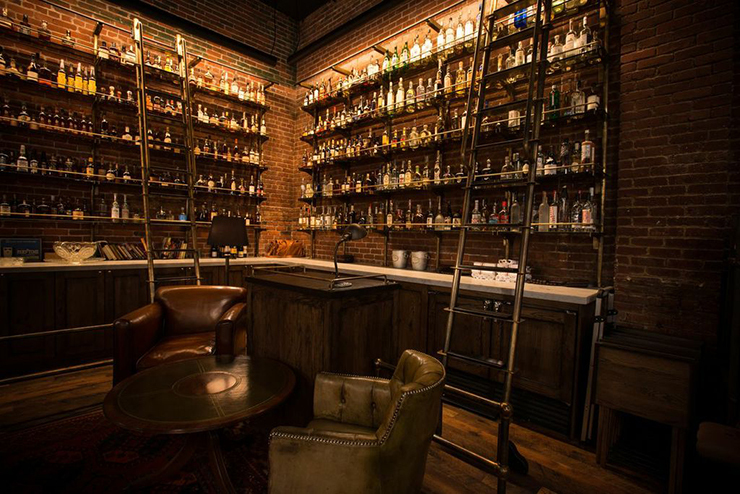 Multnomah Whiskey Library - Portland, Ore. If you are an avid whiskey fan, this place is Heaven. Even if you’re not, it still might be one of the coolest places on the planet. 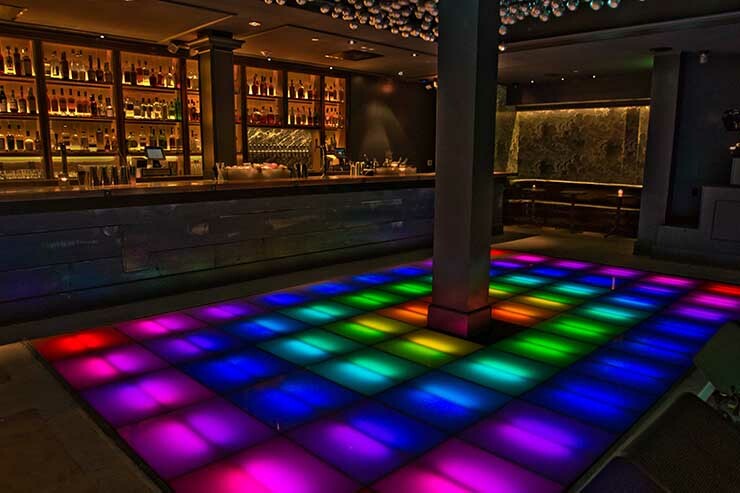 Filled floor to ceiling with softly lit bottles, it’s a library of alcohol. “Whiskey is at the forefront, but we didn’t stop there,” says Barman Tommy Klus. “We have expanded across all spirit categories to find the best representations of spirits to include on our back bar.” Rolling wooden carts add a heavy dose of charm to the place, as do the cute TV trays they use for food service and the spirit lockers you can rent in case you don’t finish your bottle. Drink: Something rare. They stock more than 1,500 labels. So sit down, engage the bartenders and discover something you never knew existed. Yes, you’ll find a 1964 Bowmore Fino Cask or the 1973 Auchentoshan sherry cask here. El Camino - Louisville, Ky. Even though it’s winter in Kentucky, you’d hardly realize it inside El Camino – where life’s perpetually a beach-themed bar. The spot opened this fall and is serving up a whole lot of fun, surf kitsch and flaming bowls of Tiki concoctions. The food menu takes a note from old Oaxaca, plating dishes that – much like the décor – make you feel removed from Kentucky outside. The drink list still loves its hometown juice, though, and you’ll find plenty of dark, intense bourbons on the list. Drink: The Port Light. It’s Buffalo Trace bourbon, fresh passion fruit juice, and homemade grenadine. The entire drink list includes a from-scratch mentality and a fantastic ice program. Bonus: Your tunes come courtesy of a record player rather than the expected iPod. Fall was a big season this year in terms of cocktail bar openings, and Holy Water in San Francisco earned the glorious reviews that followed shortly thereafter. 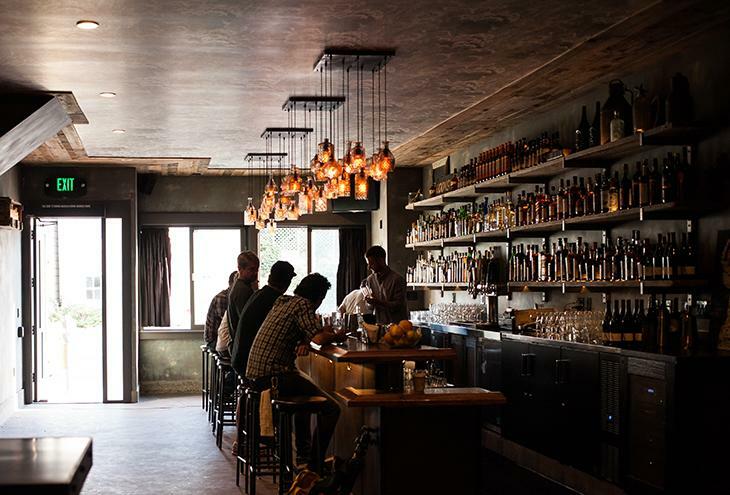 “There wasn’t much in the way of craft cocktails in the city’s Bernal Heights neighborhood prior to Holy Water,” co-owner John Ottman told us. Now the neighborhood can boast one of the most discussed spots in America. Named for a coastal region in Spain, long and narrow Donostia is located in Manhattan’s East Village. The bar has no hard-booze license but more than makes up for it with a serious list of sherry, Spanish wines and a creative smattering of cocktails based around lower-proof options. The food menu is equally creative, serving bite-sized Spanish tapas, such as big briny olives wrapped in sardines. Drink: The La Gallega. It’s fino sherry, casa mariol vermouth negre, raw honey, grapefruit juice, lemon juice, black pepper and sidra. It’s a great way to get into sherry if you aren’t familiar. Bonus: They have USB ports under the bar in case you need to charge your phone, Wi-Fi is free all day and they open at 8 a.m., serving till midnight.